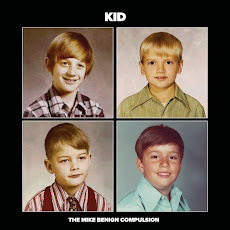 The Mike Benign Compulsion: Powerpopaholic raves: "a highly recommended LP"
Powerpopaholic raves: "a highly recommended LP"
Another sweet review of the "Kid" album, this time courtesy of Powerpopaholic.com. The headline on this post pretty much says it all. And we have to admit, we like what it says!